Bonhoeffer Society Dinner Theme: What is the Role of Activism in an Academic Society? The International Bonhoeffer Society – English Language Section invites you to our annual Bonhoeffer Society Dinner, which is held conjointly with the American Academy of Religion conference. We are thrilled that Bonhoeffer scholars Stephen Haynes and Jeffrey Pugh will be our guest speakers for the evening, reflecting on the place of activism in an academic society charged with promoting the legacy of Bonhoeffer. The Bonhoeffer Society has always held a dual commitment to textual and historical analyses of primary material and constructive readings addressing contemporary ecclesial and social concerns. In the past year, though, the Society has expanded its vision by expressing an explicit commitment to support lay leaders, practitioners, and community activists who turn to Bonhoeffer’s legacy as a resource for resisting injustice. Given the risks of appropriation and the increasing politicization of Bonhoeffer’s legacy, what this commitment entails is not entirely clear nor without controversy within the Society itself. Guiding us into deeper reflection, Stephen Haynes will draw from his newly published book, The Battle for Bonhoeffer: Debating Discipleship in the Age of Trump (Eerdmans, 2018), and Jeffrey Pugh will share his experience as a religious leader who placed his body on the front lines of resistance during the neo-Nazi demonstration in Charlottesville on August 12, 2017. Where: Capitol Heights Presbyterian Church, 1100 Fillmore St. Denver, CO. 80206. 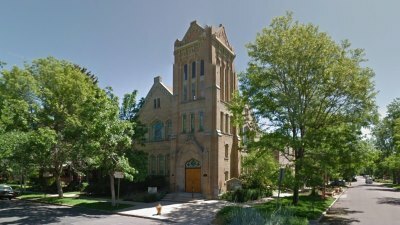 The church is located 2.8 miles from the Convention Center in the Capitol Hill neighborhood adjacent to downtown Denver. We recommend a Taxi, Uber or Lyft. A group will gather outside Embassy Suites at 5:20 to share transportation. RSVP: Space is limited. To reserve a spot, please use the secure Paypal button below by November 7. The cost of the dinner is $40 per person.